The entry-level CCTV systems from CCTV Surveillance are designed for small to medium sized applications and provide coverage of internal and external areas. Evidence-grade, HD-quality footage can be recorded for playback purposes while the visibility of CCTV cameras acts as an effective crime deterrent. 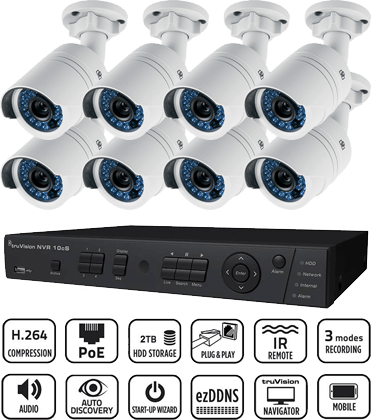 Our security camera systems feature advanced H264 video compression technology and can be easily configured to meet your exact security needs. They support the PoE (Power over Ethernet) standard for superior deployment flexibility and provide extensive remote monitoring capabilities, including via a mobile app.